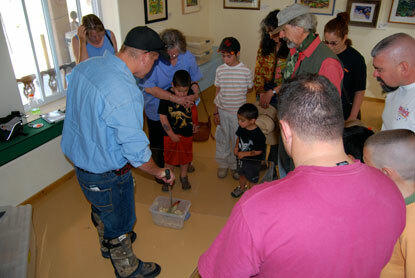 On Saturday, May 12, the Wildlife Center held an open house. 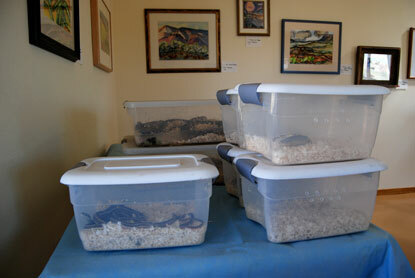 I spent the day hanging with CJ Carmen as he demoed snakes for the folks who visited. Here he holds a snappy great plains skink (Eumeces obsoletus), a common yet not commonly seen lizard in northern New Mexico. 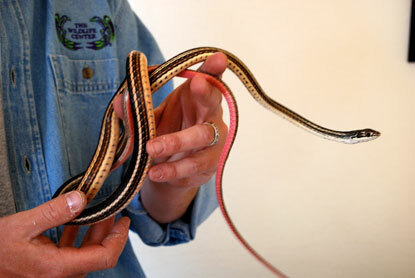 A striped whipsnake (Masticophis taeniatus), the less common local cousin to the widespread coachwhip snake. 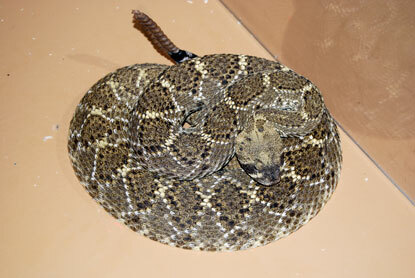 CJ pulls a prairie rattlesnake (Crotalus viridis) out of its box. 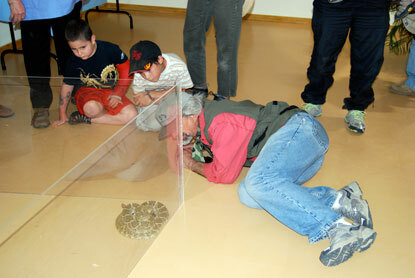 Visitors get up close to a western diamondback rattlesnake (Crotalus atrox). A close up of the western diamondback. Fine bunch of specimens there! 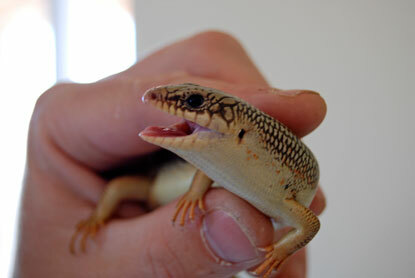 I like the skink as the "intro" picture...holla!